April seems a little slow for Rio de Janeiro, but still, there are some good events for you to attend. From street parties to food fairs and nightclubs, you have options to have fun every week of this month. Up until April the 15th, CCBB is hosting an exhibition that showcases work of DreamWorks, having screenings of movies like Shrek, Madagascar, Kung Fu Panda, Trolls and others. All sessions are for free — passwords are distributed 1 hour before each movie. You can check the complete schedule on CCBB’s website here. Live samba music with Calocantô band, cold beer and caipirinha with the blessing of Christ the Redeemer, as this event in Cosme Velho is really close to Corcovado. 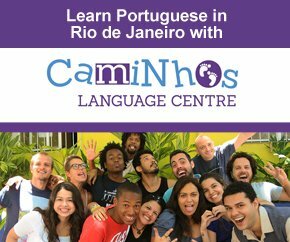 R$35, starting at 9:30pm. Venue: Espaço Corcovado (Rua Conselheiro Lampreia, 169 map). The British rock band Arctic Monkeys is coming to Rio for a Latin America tour. The venue for the concert is the Junesse Arena in Barra map and the tickets are ranging from R$160 to R$580. You can buy here. For this festival, lots of food stands, live music, craft breweries, art and more. Time: From 1pm until 11pm. Free event. Venue: Parque Garota de Ipanema map. This Medieval Fair promises to bring the old days back for geeks and history lovers. Lectures and workshops, medieval music and dance, swordplay, medieval games, craft beer and a lot more. This is a free event happening during April 6th and 7th. Venue: Arena Socioambiental, Glória map. You can check all schedule at their Facebook event. The Lavradio Fair — Feira Rio Antigo — is a popular street market in Rio de Janeiro that takes place on the first Saturday of every month in the Lavradio Street, Centro. Exceptionally this time, the fair is going to be on the second Saturday of the month, celebrating the Women’s International Day. It’s the perfect place to find good jewellery, cheap and nice clothing, antique shops and more. For this edition, there will be live music with singer Nai Dias celebrating women in samba. Time: From 10am until 7pm. Free event. Great party with welcome drinks in Copacabana. This party will focus on Gringos but is also welcoming locals for a great night. DJs will be playing Pop, Reggaeton, Cumbia e Black Music. R$60 at the door until midnight. Venue: Copacabana Rio Hotel map. Ben & Jerry’s Free Cone Day comes to Brazil in 2019. Free ice cream cone in all Ben & Jerry’s shops in Rio. There’s one at Shopping Rio Sul map. Don’t forget you need to be there between 12pm and 8pm to get yours. Great music in a great place. Enjoy some good samba music at Parque das Ruínas in Santa Teresa map, a historic place in Rio de Janeiro. R$40 at the door. Time: starting at 6pm. If it rains, the event will be postponed. Glória Groove is a drag queen singer and Lexa is a funk singer; both are a huge success in Rio de Janeiro nowadays. Their concert is happening at Engenão, the Olympic Stadium map. Tickets are ranging from R$40 to R$100. The gates will be opened at 10pm. Buy tickets here. Pura Vida Hostel is celebrating their 8-year anniversary with a free event with good music, nice people and cheap drinks. People usually like the parties at Pura Vida, they are very fun and vibrant. Starts at 7pm. Live samba music and a great vibe if you are looking to have fun on a Sunday afternoon. Starts at 4pm. Venue: Parking lot in front of Lagoon map. Price: R$30. The event is going to be postponed in case of rain. Affordable vegan cuisine and products, such as fashion, art and cosmetics free of animal suffering. This event will be donating part of its income to an animal advocacy organization. Free entrance and pet-friendly. Location: G.R.E.S Unidos de Vila Isabel map. From 12pm until 18pm. 38 football teams will be competing for this college championship that lasts from April 18th until April 21st. More than games, this event is hosting live concerts, food trucks, kids area and more. It’s possible to get a 50% discount on the ticket if you bring 1kg of non-perishable food to donate. You can check more information and the complete schedule for the event here. You can buy the tickets at the entrance starting at 5pm. Enjoy the best of Cuban music at this event in Centro. Get ready to dance all night long. Free event starting at 6pm. Venue: Largo de São Francisco da Prainha map. Pipper Club is celebrating its 8-year anniversary with a big event at the Olympic Stadium in Barra. Live concerts from famous singers like Iza, Ludmilla and Luísa Sonza. Tickets starting at R$60 can be bought here. Event starts at 10:30pm. Situated across the bay of Guanabara, you’ll find the city of Niterói. Starting from Ipanema this bike tour will take you to Copacabana beach, Botafogo and downtown Rio – with several stops on the way. In Rio’s Center, you’ll take a ferry, while bringing your bike on board as well, and will go to Niterói, where you’ll visit lots of beautiful spots. Price: R$95. A true carioca event, Carioquíssima reunites the best of food, fashion, art, décor and photography in Rio. This edition will take place in Museu da República for two days, April 27th and April 28th, from 12pm to 9pm. Address: Rua do Catete, 153 map. 5K, 10K and 15K run in Aterro do Flamengo. Sign up here. 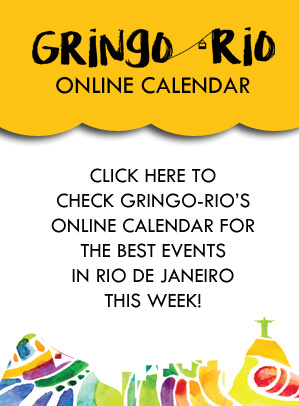 For more events in Rio de Janeiro during the month of April, check Gringo Rio’s Online Calendar.